With deep water frontage customers are welcome to use our large floating pontoon and moorings, alternatively drop anchor close by. We can’t always guarantee a driver available for tender so please ensure you can access the property independently on the day. There is no charge for day use whilst lunching. Mooring overnight on one of our 6 mooring is complimentary however there is a charge of $50 per vessel, overnight on our pontoon. 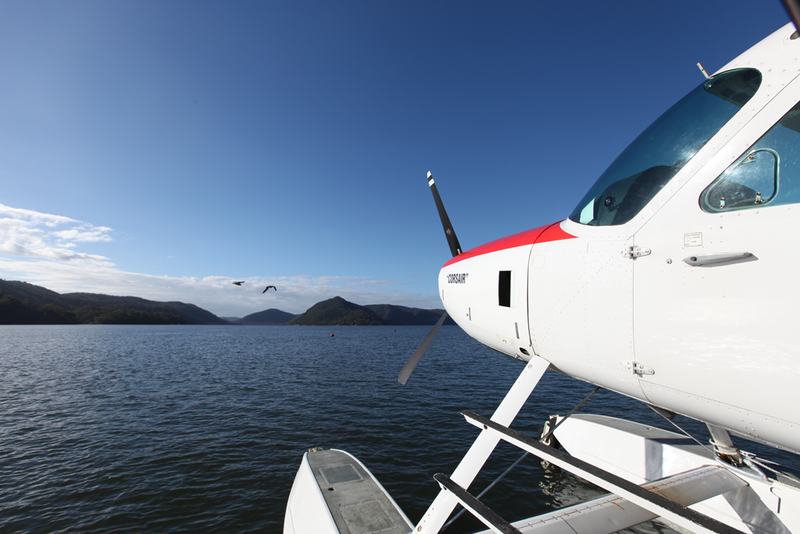 A spectacular way to see Sydney and its beautiful surrounds is a scenic flight from Sydney Harbour by Seaplane. The journey which takes approximately 20 minutes flies along the famous Northern Beaches then up the Hawkesbury River to Peats Bite.